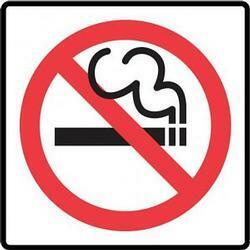 The smoking ban in restaurants and bars in Washington, Mo., officially came into effect on Monday, April 15. Members of Breathe Easy Washington, the group that pushed for the ordinance, celebrated that day at a local restaurant. At only 17 cents per cigarette pack, Missouri has the lowest tax for tobacco in the U.S. In 2012, Missouri voters said no to increasing that tax to 90 cents per pack. Missouri is also one of 14 states that don't have some sort of a statewide ban on smoking in non-hospitality workplaces, and/or restaurants, and/or bars. All of this adds up to the Show-Me State's top spot as the freest state in the nation when it comes to tobacco. But since 2007, about two dozen municipalities in Missouri have enacted a comprehensive smoking ban in all workplaces, including restaurants and bars. This Monday, rural Washington, Mo., joins that list. The City Council voted to pass the ordinance to ban smoking back in January. On that first smoke-free day, I caught up with members of Breathe Easy Washington, the group that made the ordinance happen. One of its members, Joyce Lara, is involved with Tobacco Free Missouri. In addition to Washington, Lara has had a hand in helping three other small Missouri communities go smoke-free: Chillicothe, Kirksville and Hannibal. Washington is the first small Missouri community that's not a college town to have a smoking ban in restaurants and bars. Most other communities with smoking bans are suburbs of Kansas City and St. Louis. Lara said she predicts more small communities going smoke-free soon. "That's just kind of the next phase," Lara said. "We've already hit all the college towns in the state of Missouri. We're seeing some efforts in the 10,000 and under. I've got a couple communities that are 3,000 to 5,000 that are looking at this as well." For more on the smoke-free movement in the state, stay tuned to KBIA's Health and Wealth Desk updates. A new smoking ban was passed in Hannibal after much debate between both city officials and community members. Missouri House Democrats have decided to prohibit smoking in their offices and plan to seek broader smoking restrictions at the state Capitol. Smoking is barred in the House chamber and public galleries. It has been permitted in lawmakers' private offices. The Democrats said Thursday they plan to seek a prohibition on smoking for all areas of the Capitol controlled by the House. Two years ago, the House voted to prohibit smoking in a gallery reserved for members in the back of the chamber but rejected an effort to ban smoking in offices. 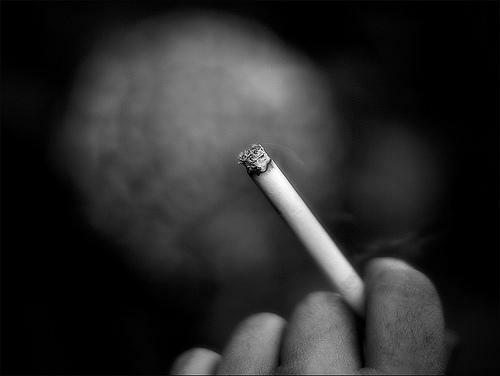 The Jefferson City City Council has taken on a debate about smoking in public housing. A subcommittee of the City Council has announced a special meeting to discuss smoking regulations in public housing and whether the council has any power to change them. Several citizens from public housing and Smokefree Jefferson City asked the council earlier this month to strengthen regulations on smoking in public housing.